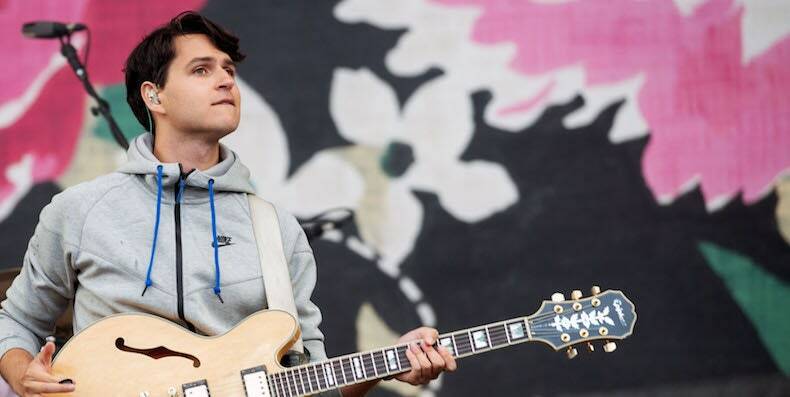 This weekend, Vampire Weekend are playing a pair of shows in Ojai, California. During the first show, the band performed their debut 2008 album in full. During their second show, the band teased a new song reportedly called “Flower Moon.” Koenig says it features the Internet’s Steve Lacy. Watch clips of both performances below. Two new touring members made their debut at Vampire Weekend’s shows—Springtime Carnivore’s Greta Morgan and Human Natural’s Brian Robert Jones, Stereogum reports. Morgan joins on keys, vocals, and guitar, and Jones is on guitar for their forthcoming dates. Surrounding the concerts, Vampire Weekend are also raising money for the Ojai area, and specifically, the 805 UndocuFund organization. The fund assists undocumented individuals and families affected by the wildfires and mudslides of late 2017. Donate here.